Georgie wins Bronze at the Swim England Nationals! Lewis wins Silver! 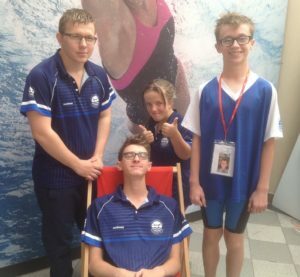 Georgie Howell, Caleb Grace, Joe Greaves and Marcus Harvey all represented Littlehampton at the Swim England Nationals, along with Lewis Smart, representing his school Mount Kelly. It was a busy 5 days which saw some exciting racing. 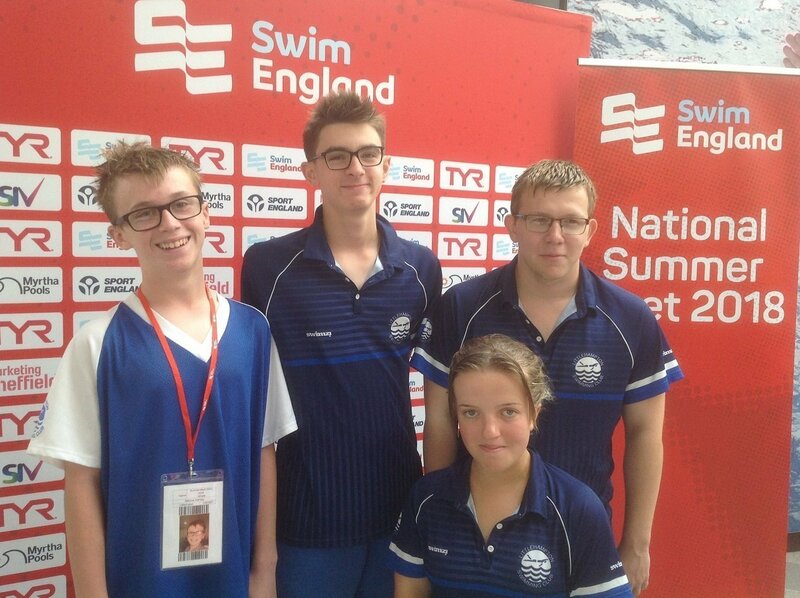 Joe and Marcus were both at their first Swim England Nationals! All the results in the para-events are multi-classifcation decided by British Disability Points, which are based on how close to the World Record for their classification their time is. Age does not come into it. 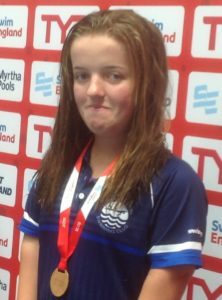 Georgie (S6) was by far the busiest swimmer having qualified for 6 events and reaching finals in all but one. Every final Georgie swam she went faster than her heat time, which is exactly what we are looking for and was one of her para talent goals. In the 400 free Georgie went almost 12 seconds faster than in her heat! Georgie topped off her week with a fantastic Bronze Medal in the 50m butterfly event! Georgie’s results were: 100 free 7th; 200 IM 8th; 50 free 7th; 400 free 5th; 100 back 12th; 50 fly 3rd. Caleb (S14) swam well, making the 100 breast final on the first day, swimming over a second faster and improving his placing. A back problem affected his fly, meaning he was unable to finish properly, but he returned the next day and gave a solid performance in his 100 back. Caleb’s results were: 100 breast 8th; 200 IM 13th; 100 back 14th. Joe (S14)added some drama to the week – or rather their car did! A break down on the M1 meant they didn’t get to their hotel until 4.30am!!! Yet Joe produced his best swim of the week that day, making the 200 free final and swimming this 6 seconds faster than his heat in a 4 second PB and two places higher! His other races were right on PB. Joe’s results were: 100 breast 19th; 200 free 7th; 100 back 16th. Marcus (S14) opened his week with a good PB in his 100 breast. Being just 13 he had little chance of making finals being the youngest in his category (bearing in mind Caleb is 20! ), however if he continues to improve the way he has this year I have no doubt this is achievable in the next couple of years. Marcus’ results were: 100 breast 20th; 200 IM 22nd; 100 back 20th. It was great to see Lewis Smart there again this year, now swimming in the 17yr age group. Excitingly Lewis won Silver in the 50 breast. He was seeded 6th into the final, but a superb start and finish saw him nail Silver! He also made the 200 IM final. Lewis’ results were: 100 breast 13th; 400 IM 11th; 200 IM 9th; 50 breast 2nd. A great week’s work from all our swimmers, congratulations to you all! Enjoy your well deserved rest!